There are many diverse models for creating a family nature club in your community. My parents created a family nature club for my sisters and I back in the 80’s for just our little family! This was back before the term “nature deficit disorder” was every coined by Richard Louv. We would meet once a week and it was actually very structured and lasted 18 years. Pretty cool gift our parents gave us! Now family nature clubs have become increasingly popular-which is wonderful! Starting a family nature club in my community is one of the things I am most proud of as a parent…and may be one of the greatest gifts I ever give my daughters! The family nature club I now participate in includes six local, amazing families in my community. We all pitch in and rotate teaching weeks and preparing for trips etc. It is a wonderful model for a small, intense family nature club. We all knew each other before we started, were like minded and very compatible personality wise. This is a huge commitment-we plan on keeping this up for our children’s entire childhood-so you have to have the right players involved for this model to work. It is providing a deep sense of community for our children and very strong bonds with families other than our own. There are also many nature centers and land trusts, zoos and other non-profits that are recognizing the importance of providing opportunities for families to enjoy nature together. Some family nature club models are simply drop in once a week or month activities where the players may or may not be the same. These are often led by a professional educator or volunteer but might be less motivated by the community itself and more providing a service to the community. These are wonderful opportunities to meet new families that might have similar interests and to learn new things about places to explore and natural history. The value of these programs is HUGE and we hope here at Nature Families that more of these family oriented nature clubs or groups will crop us in the next few years. In our community we also have a hiking group that is organized by a mother-they meet weekly, just drop in, and take a hike together. This is a different approach to family nature club-no organized educational programming–but still a wonderful way to engage families with nature and to explore new areas. Some family nature groups are really taking advantage of social media to connect families with each other and nature. I participate in a family nature group on Facebook where folks just post fun events and meet cool places. The events are free and the group is moderated by a volunteer. Yet another successful and low cost method for getting families recreating together in nature. 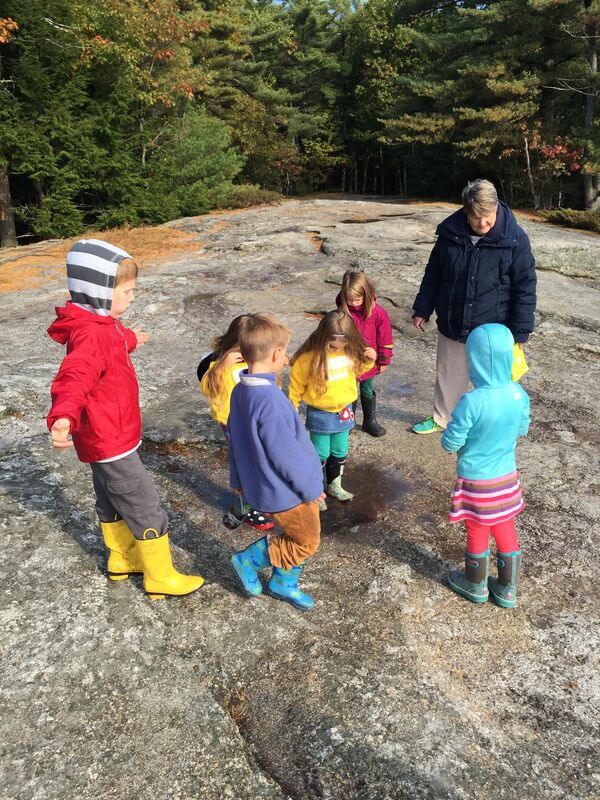 Whatever your method it is clear that is very important that we are–getting our kids outside, and that we are empowering each other as parents, caregivers, or community members to get outside together! If you have another interesting example of a family nature club model please share with us so we can add it to our resource page! Thank you so much and happy adventuring!